unsweetened cocoa powder and cinnamon for their antioxidant effect. 120ml of low fat plain yoghurt, 1 orange peeled and cut into chunks with seeds removed, 120ml of skim milk, 1/2 banana, ice. Blend and enjoy! Contains Vitamin C and Calcium, so it is good not only for the immune system but also for healthy bones. 60ml of low fat milk, 1 kiwi peeled and sliced, 1/2 a table spoon of honey, 1 table spoon of chopped mint and ice. 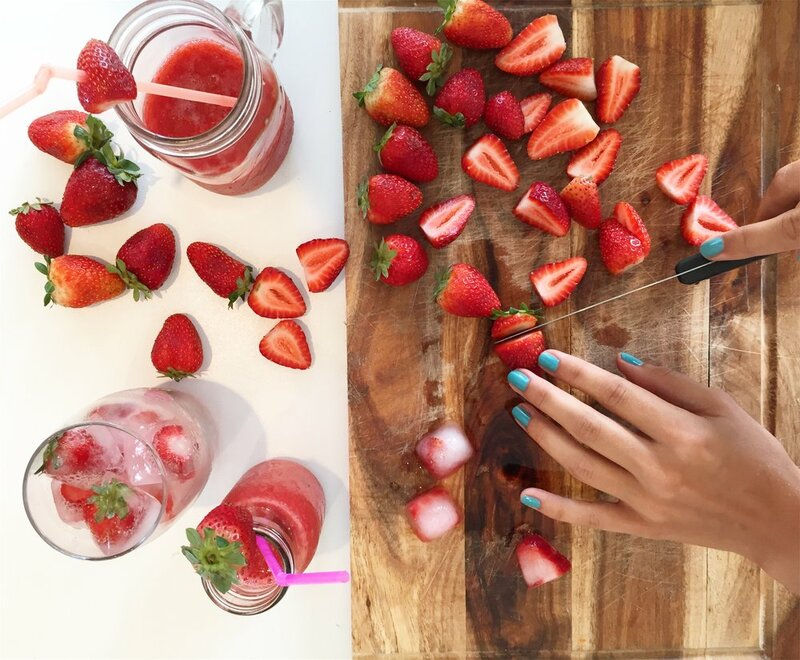 Blend everything together and refresh your day. This smoothie contains Vitamin C and K and is a good source of fibre and calcium. 1 cup of baby spinach, 1 cup of cucumber chunks, 1/2 avocado pitted and peeled, 1 large kiwi fruit peeled and chopped, 1/2 cup of frozen vanilla yoghurt, 1/2 cup of fresh orange juice, 1/4 cup of mint leaves. Simply blend together for a powerful antioxidant smoothie to start your day. 1/2 cup of chopped strawberries, 1 cup of blueberries, 1/2 cup of raspberries, 2 table spoons of honey, 1 tea spoon of fresh lemon and 1/2 cup of ice cubes. Blend together for a fruity delight that contains a third of your daily fibre goal. 1 cup of frozen raspberries and strawberries, 1 banana, 1/3 cup of raw coconut meat, 1 cup of coconut milk, 1 cup of frozen mango chunks, 1 cup of fresh pineapple juice, 1/2 pineapple cubed, 1 vanilla bean (with seeds scraped), 1 kiwi fruit sliced. Blend everything together and transport yourself to a tropical paradise. 2 cups of strawberries, 1 whole banana chopped, 1/2 cup of milk, 1/2 cup of greek yoghurt. This simple recipe is perfect for busy days, easy to make, but full of flavour. 1 peeled orange, 1/4 cup of fat free yoghurt, 2 table spoons of frozen orange juice, 1/4 tea spoon of vanilla extract, 4 ice cubes. Blend this up for the perfect way to cool down after a tough workout at the gym or a hot day at the beach. Do you know a great smoothie recipe? Please share it with us below!